Gifts to the Institute are used to enhance the research, educational, and outreach missions and to deliver programs and activities that otherwise would not be possible. We thank you for your interest in supporting excellence at IHE! Assists in the continued development of the Institute of Higher Education as a leading unit of instruction, research, and public service. Donations assist with building collaborations and cooperative activities across the state and nation. Established to honor Professor Dyer on the occasion of his retirement from the University of Georgia on December 1, 2006, following over three decades of distinguished faculty and administrative leadership. Dr. Dyer was university professor, professor of higher education and history, and director of the Institute of Higher Education. His death in 2013 was an enormous loss not only for IHE, but also for the UGA community as a whole. 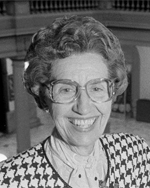 Professor Dyer increased the stature and productivity of the Institute of Higher Education and was instrumental in supporting university-level initiatives that focused on academic excellence in the three missions of the land-grant university. This fund supports the academic mission of the Institute, including the doctoral program in higher education (including the Outstanding Dissertation Research Award), visiting scholars, and student programs and activities. Zell and Shirley Miller Fellowship is awarded annually to a promising doctoral student in the Institute of Higher Education. The scholarly potential of the candidate together with an assessment of his/her academic record and professional achievement are considered in naming the recipient. The award supports the professional development of the Miller Fellow. Libby V. Morris is the Zell Miller Distinguished Professor of Higher Education and is currently serving as interim senior vice president for academic affairs and provost for the University of Georgia. Dr. Morris’ career is marked by her commitment to graduate education and outreach. She has directed more than 30 dissertations, and in 2005 she was invited to join the UGA Teaching Academy. In 2009, she launched the Georgia College Advising Corps, a near-peer college access program supporting underserved and first-generation students in Georgia high schools. For over 15 years, she has served as the editor of Innovative Higher Education, a peer-reviewed Springer journal. 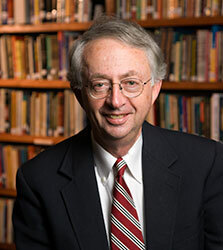 Dr. Morris’ career shows an unwavering commitment to the instruction, research, and public service missions of the Institute of Higher Education and the University of Georgia. The Morris endowment was established to provide support for graduate students in the Institute who show potential for leadership in colleges and universities and to foster commitment to the land-grant missions of instruction, research, and public service. The fund supports the Leadership Award. Established for the late Professor Doug Toma to enhance IHE's efforts to develop emerging scholars in the field of higher education and foster national and international collaborations, which were a hallmark of Doug's career. During his tenure at the Institute, he tirelessly worked with both graduate and undergraduate students organizing cultural and academic programs, challenging and mentoring students from diverse backgrounds, and leading groups on study abroad courses with the aim of expanding their worlds and understanding of other cultures. The Toma fund supports the Excellence in Scholarship and Service Award for IHE doctoral students. The college-going process is daunting for many first-generation, low-income, and historically under-represented students. Financial, academic, and socio-cultural barriers can combine to lower educational aspirations among these students, and unfortunately, too few opportunities for one-on-one assistance and counseling are available. In 2008, the Institute of Higher Education began an innovative college advising program to address this problem. GCAC selects talented recent college graduates to serve as "near-peer" college advisers in selected urban and rural high schools throughout Georgia. Currently, 21 recent college graduates are serving as GCAC advisers in 16 Georgia high schools. There is substantial need and demand for more. Georgia has high levels of poverty and unemployment, compared to national averages, and the state’s college-going rates remain low. Donations to the GCAC program will be used to provide training for additional advisers and/or pay their salaries. The Louise McBee Professorship in Higher Education was established in recognition of the quarter-century of distinguished service that Dr. McBee rendered to the University of Georgia as faculty member and administrator and in recognition of her continuing public service to the state of Georgia as a member of the Georgia General Assembly. The McBee Professor is a nationally distinguished scholar who directs and supervises advanced doctoral students, conducts research, and advances the multi-disciplinary character of the Institute. 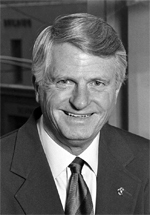 Zell Miller served Georgia with distinction as lieutenant governor, governor, and United States senator, as well as in other governmental capacities. 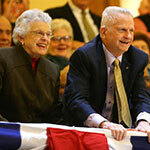 He achieved national eminence as one of the strongest pro-education governors in the history of the United States. His governorship was marked by keen attention to higher education and to the relationships between higher education and economic development. The Zell Miller Distinguished Professorship in Higher Education has added substantially to the quality and depth of the Institute. This professorship emphasizes the economic role of higher education in public policy, stressing the role of postsecondary education in state, regional, and national economic development as well as other aspects of higher education. It is held by a scholar of national eminence, who teaches courses, directs and supervises advanced doctoral students, conducts research, and engages in public service and outreach.